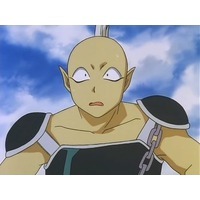 What are you doing, fool? 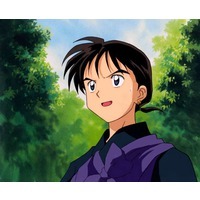 The story begins in Tokyo, Japan, with a fifteen-year-old middle school girl named Kagome Higurashi, who lives on the grounds of her family's hereditary Shinto shrine with her mother, grandfather and her little brother named Sota. When she goes into the well house to retrieve her cat, a centipede demon bursts out of the enshrined Bone Eater's Well (骨喰いの井戸 Honekui no Ido?) 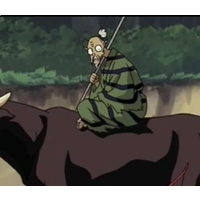 and pulls her back into the well with it. 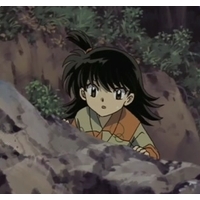 Instead of hitting the bottom of the well, however, Kagome continues to fall as though through a portal, and reappears in the ancient Sengoku period of Japan. 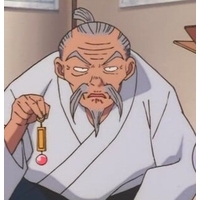 Apparently, the demon had previously attacked a village near the well in the Sengoku period, in pursuit of a magical jewel known as the Jewel of Four Souls (四魂の玉 Shikon no Tama?, also known as the "Shikon Jewel"). 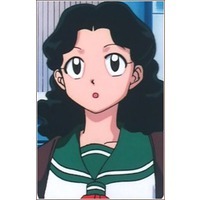 It had attempted to kill the jewel's keeper, a woman who looked very like Kagome; and now the demon has mistaken Kagome for this woman. 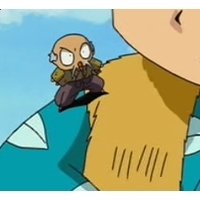 The demon attacks her, planning to consume both her and the Jewel to absorb the incredible power. 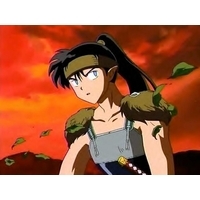 In a moment of desperation, Kagome unseals a half demon trapped by a sacred arrow against a nearby tree. 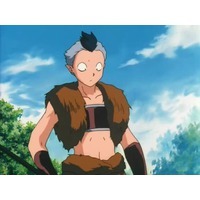 The half-demon, InuYasha, easily defeats the centipede demon, but he might actually be a bigger problem himself. 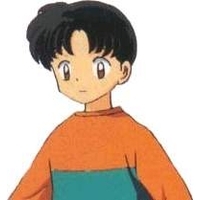 He was sealed to the tree fifty years previously by a priestess named Kikyo, who also turns out to have been the keeper of the Jewel-- and Kagome's previous incarnation. 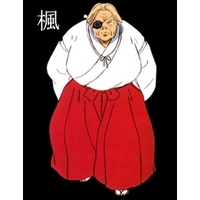 Kikyo had requested, upon her death, that the Jewel be burned with her in her funeral pyre so no one could ever abuse its tremendous power. 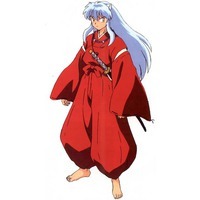 Although InuYasha destroys the centipede, the Sacred Jewel is later shattered into numerous shards that disperse across Japan. Even the individual shards are capable of granting great power, and are eagerly sought by humans and demons alike. 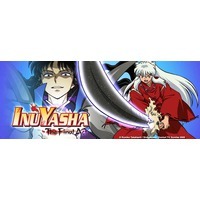 InuYasha and Kagome set out to collect the shards to avoid disasters caused by the Sacred Jewel of Four Souls. 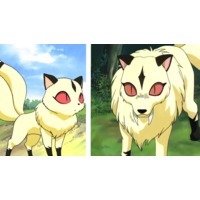 Along the way, they join forces with Shippo, a small orphaned fox demon, Miroku, a monk who suffers from a powerful generational and demonic curse given to his ancestors, and Sango, a demon-slayer whose clan was killed by a group of demons. 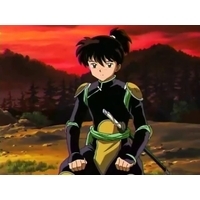 Their main opponent is Naraku, a devious and powerful collective, shape-shifting half-demon who manipulated the initial conflict between Kikyo and InuYasha, ending with Kikyo sealing InuYasha to the tree; Sango's clan's destruction; and Miroku's curse. 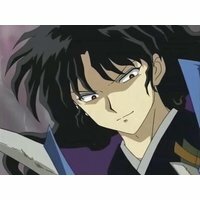 Naraku slowly gathers shards for himself and acts as a master manipulator, setting up traps forcing InuYasha and his companions to take Kagome's fragments of the Sacred Shikon Jewel. 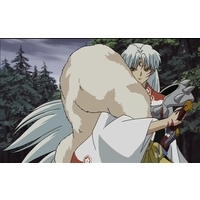 Inuyasha's main cast also encounter Sesshomaru, InuYasha's full demon half-brother, who also is out to kill the manipulative Naraku (although he is far from being on InuYasha's side); Kikyo, now partially resurrected with a fragment of Kagome's reincarnated soul/spirit; and a wolf demon named Koga, most of whose comrades were killed by Naraku's forces. 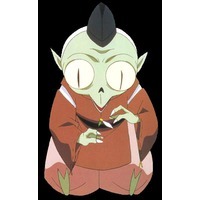 Eventually, Naraku collects all of the shards and reassembles the Jewel of Four Souls into its original and complete form. 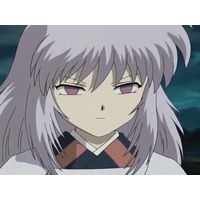 Although Inuyasha and his allies defeat him, Naraku uses his immeasurable strength and power as the Jewel's owner to wish for Kagome's spirit to be trapped inside it with his own, which would allow Naraku to survive within it in eternal conflict with her. 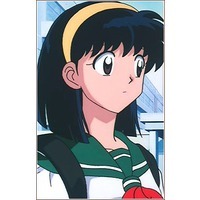 With Inuyasha by her side, Kagome wishes for the jewel to disappear, erasing Naraku from existence and breaking the cycle of conflict. 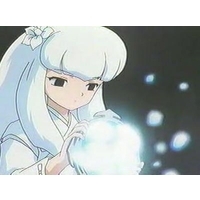 She and Inuyasha are then thrown back to their own time periods and the Well becomes sealed, causing them to lose contact for three years. 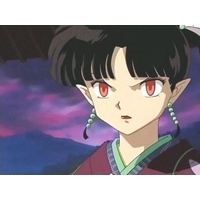 In that time, the Sengoku period changes drastically: Sango and Miroku marry and have three children together; Kohaku (Sango's last remaining family member) resumes his journey to become a strong demon slayer; Koga becomes leader of the wolf demons and marries Ayame; and Shippo attains the seventh rank as a fox demon. 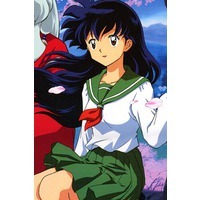 Back in the present, Kagome graduates from high school at the age of eighteen, before she finally manages to get the Bone-Eater's Well in her backyard to work again. 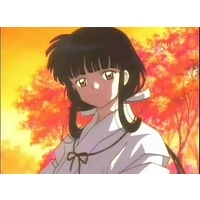 With approval from her mother, Kagome returns to the Sengoku period, where she stays with InuYasha and becomes his wife for the rest of her life.